Can’t get your kids to clean their room? These simple steps will help you see the floor again! I don’t mind when my girl’s bedrooms get a little messy. What I do mind is when the rooms go from being a little messy to “I can’t see the floor anymore” out of control! Usually what drives me to my breaking point is when I can find one of every shoe but there’s no match anywhere in sight. That doesn’t happen much, only on the days when we’re in a hurry to get out the door. Okay, so it happens a lot! If it’s not the shoe issue that puts me over the edge, it’s when I have to kick a path through the toys to navigate the five feet from the door to the closet. There is no way that my four year old can single handedly tackle the apocalypse that is her room! Eventually she’ll learn but isn’t it my job to teach her? 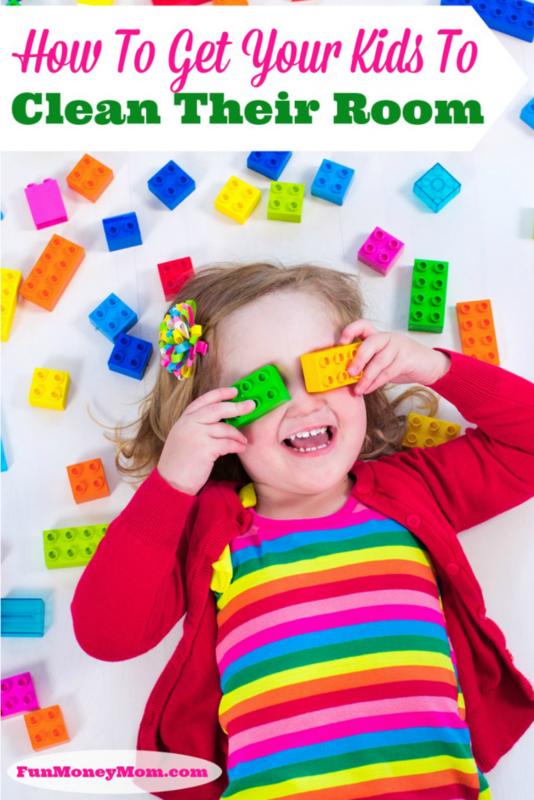 If we’re feeling overwhelmed by our kid’s messy rooms, think about how they must feel! That being said, don’t just clean for them while they watch or play…it’s important that they actually taking part in the cleanup. Otherwise, good luck getting them to help next time! This is not the best time to multitask. I’ve found that both my girls have a much easier time cleaning their rooms when we tackle one thing at a time. We usually put away the stuffed animals first (I’m only slightly exaggerating when I say we have millions) because that makes a big dent. Now we may even be able to see small glimpses of the floor! Next we’ll put away the play food and then the Barbies, some of whom will be making an appearance at our next garage sale. Then you can work on Legos, clothes, trash…you can choose your own divide and conquer tactics. 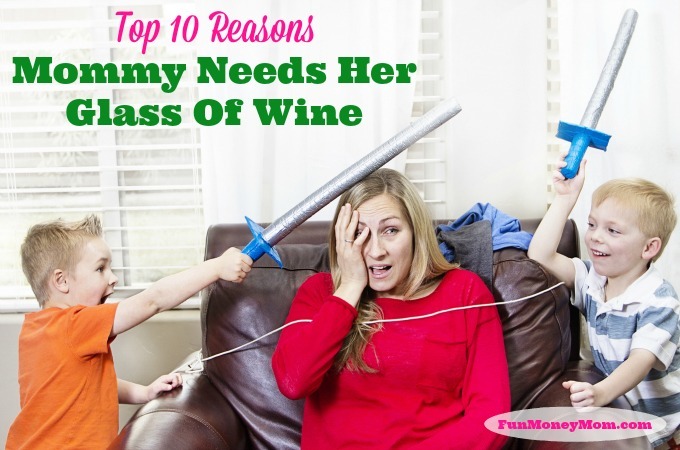 I’ve found that this makes it less stressful and overwhelming for my girls…and me! It’s important to have a designated spot for everything. Our games, stuffed animals, Barbies and other toys all have “homes” so that when we’re cleaning up, we know just what to do with them. It doesn’t have to be anything fancy…Keira’s stuffed animals live in a tall laundry basket in the closet. Make sure your kids know where everything goes so that it’ll be easier for them to clean up when it’s time to do it on their own. I am NOT one of those parents that think praise is a dirty word. Know why? Because when I praise my girls for helping me clean, it makes them want to help me even more. My praise is pretty simple too, usually along the lines of “Thank you pumpkin! You are helping mommy so much by cleaning your room”. It makes them feel good and usually gets them to work even harder. How can something that makes my kids want to help clean possibly be a bad thing?! This works especially well with my four year old. Little Keira always wants to help when she hears me telling her sister she’s doing a great job, even if she didn’t want to help before. I guess somewhere along the line she’s picked up mommy’s competitive gene! If she hears sissy getting praised, she wants to jump in and earn some praise of her own! This may not work with every child but if it works with yours, take full advantage of it! Incentives, bribery, call it what you want but it works! It can be anything from a sticker on a chore chart, an ice cream cone or even a play date. 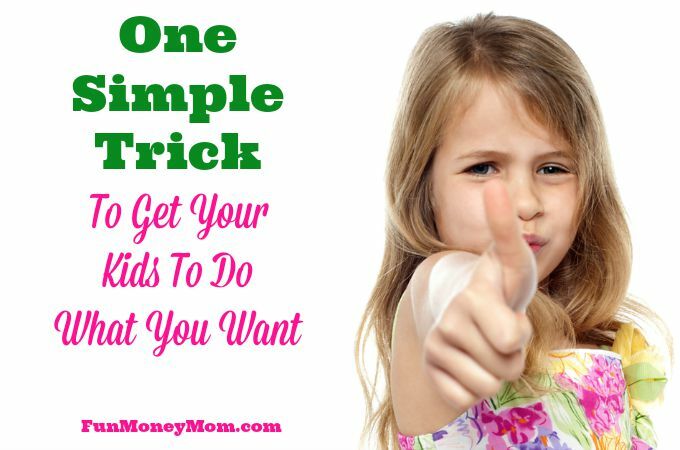 Kids will do pretty much anything if you give them the right incentive! The Trash Bag Threat (yes, it really works)! Now, what if you’ve tried all those things and your kids still refuse to clean their rooms? Whatever you do, DON’T give in and clean the room for them. You’ll just be asking for trouble later. Here’s what I’ve done and it totally worked. My four year old was being more stubborn than usual so I told her that if she didn’t help, everything would go in a trash bag and be stored in the garage for a week. I still got the “It’s too boring” so I stuck to my guns and every little thing on that floor went in a giant trash bag. She threw a mini tantrum but the room was clean…mission accomplished! The funny thing is that she barely missed anything in that bag during the week, a sure sign that we have WAY too many toys! I’ve also done it with her DVD’s when she pulled them all out but didn’t want to put them back. She was even more upset about the DVD’s than the toys (hmm…that’s not a good sign)! However, now if I have to resort to the trash bag threat, she acts fast so that mommy won’t actually carry it out. It works every time! Do you have any other tricks up your sleeve for when it’s time to clean that room? We’d love to hear about them! The trash bag threat works in our house too! It also works when Robert says he doesn’t want to play with his toys. I tell him to go find the ones he doesn’t like anymore so he can give them away. He always starts playing by himself after that! It’s funny how they love their toys as soon as they think they might not have them anymore! It’s almost impossible to have a garage sale when they’re around…LOL! Great tips! 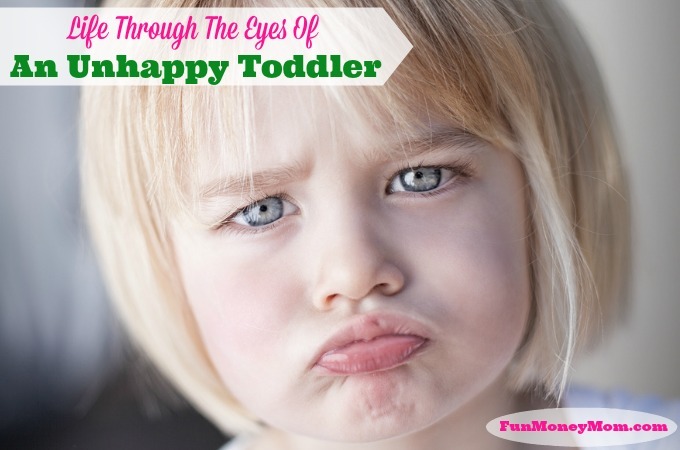 My four year old just recently realized that there is a place for everything (after many, many examples from my husband and I), and I have to say…. it’s so awesome to see her room clean more regularly!! I love the line “If you’re feeling overwhelmed, imagine how they must feel!” I always feel stressed taking on a cleaning project; I never considered that it might be the same for my daughter! It took me a long time to think to look at it that way too. However, I really do get overwhelmed at the sight of their rooms so I can’t even imagine what it must be like for a four year old. That helped me to put it in perspective a little. Thanks so much for stopping by! Love this! I too have used the Trash bag when the children were smaller. Even now, they know if mommy has to get the bag it is not going to be good. Thank you for sharing these great tips! Yes, it’s always a bad sign when mommy pulls out the trash bag! I think it’s a trick used by moms everywhere…LOL! This is such a good post. I remember going through all this with my kids. I don’t think I was as wise as you and I don’t think I ever succeeded at teaching room cleaning/tidy. This is great advice here for parents building happy families. Thanks so much! It’s definitely a work in progress and a lot of times it takes until I can’t look at it anymore for us to get started. However, actually getting the job done has become a lot easier since I started using these tips. Thanks so much for visiting! Set a timer. I think it gets the kids motivated. Works for us. That’s a really great idea! I’ll have to try it.